After breakfast, our guide will tak you birdwatching trip to Paru chu. Have lunch. After having some rest, go for birdwatching in nearby areas. Overnight in the hotel. Morning birdwatching tour along the river Paro chu. 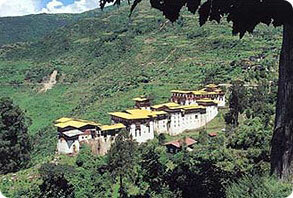 Tour the Natural History Museum at Ta Dzong. Afternoon drive to Bhutanese capital Thimpu. Stop en route to look for Ibis bill and other birds. Overnight stay in a Thimphu hotel. Stroll along River MoChu and the nearby forests is very productive for birding. Overnight stay at Punakha hotel. Drive to Thimpu. En route stopping for birding activity. Travel to Jigmey Dorji National Park for birding till sunset. Night in the hotel.